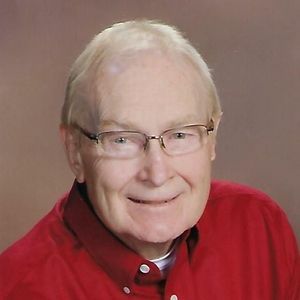 Stanley J. Chadwick, age 73, passed away on Monday, April 1, 2019, at his home in Sun Prairie. He was born on July 14, 1945 in Boscobel and was the son of Russell and Gladys (Mercer) Chadwick. He married Janet (Dollak) Hay on September 10, 1982 at St. Albert the Great Catholic Church. Stan served 3 years in the U.S Army stationed in Germany, and worked many years at the Wisconsin Cheeseman until his retirement. He is survived by his wife of 36 years Janet; 3 children, Denise (Paul) Twite, Brad Chadwick and Brian (Nikkie) Chadwick; 4 step-children, Dawn Hay, Scott (Melissa) Hay, Thomas (Lisa) Hay, and Patrick (Clarissa) Hay; 6 grandchildren, Alex, Evan, Emma, and Adam Twite, and Austin and Adalyn Chadwick; 5 step-grandchildren Maggie, Zachary, Jacob, Zain and Brennan Hay; a sister Lois (Jerry) Brockel; and nieces and nephews. He was preceded in death by his parents; and 2 brothers. A Mass of Christian Burial will be held at 11:00 a.m. on Friday, April 12, 2019 at St. Albert the Great Catholic Church, 2420 St. Albert Drive in Sun Prairie, Monsignor Donn J. Heiar will preside. Visitation will be held on Thursday, April 11, 2019 from 4:00 to 7:00 p.m., at Tuschen-Newcomer Funeral Home, 302 Columbus St., Sun Prairie and at church on Friday, April 12, 2019 from 10:00 am until the start of Mass. Burial will take place at Sacred Hearts Cemetery. I am unable to attend the funeral today, but my wife and I wish to extend our condolences to Stan's family and friends. Stan and I go way back to the days we worked together at Thorp Finance. I will remember him as a fellow sports enthusiast and good friend. I am unable to attend the funeral today, but my wife and I wish to extend our condolences to Stan's family and friends. Stan and I go way back as co-workers at Thorp Finance, sports enthusiasts and good friends. I have many fond memories of our time together. Please accept our deepest sympathy. We will be unable to attend the funeral but know that our sincere thoughts are with you and your family! We will keep you in our prayers as well remember Stan at Mass this weekend. Stan was a good man and loving husband who will be sorely missed by many. I am so sorry for you loss. Our deepest condolences on the loss of your loving husband, father, grandfather, uncle, and friend. Stan will be remembered as a good man who was a strong, steady presence in the lives of his loved ones. Holding you in our hearts at this difficult time. Our deepest sympathy in the loss if a great man. We send prayers to the family. Stan Chadwick was my maternal uncle who was very caring and loving with all his nieces and nephews. I remember how he would talk like Donald Duck to make us laugh when little. At holidays we could always count on delicious candy gifts from his place of work at the WI Cheeseman, which were delicious. He will be dearly missed and his death is a great loss. Stan and his wife, Janet, would share their many travel adventures with us also. This is in loving memory of my Uncle Stan Chadwick.